If you’re looking for fun holiday events for you and the kids, try visiting the Swedish Cottage in Central Park. They present professional marionette shows year-round. 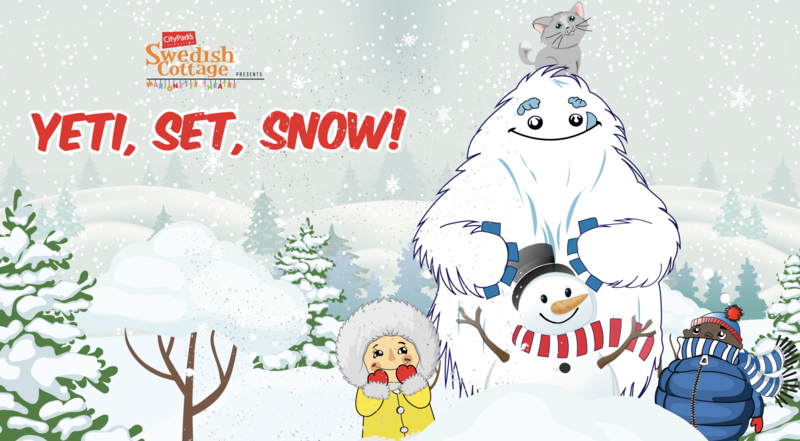 Now playing is ‘Yeti, Set, Snow!’ The quaint cottage appears transported straight from the Alps. The cozy theater is laid out with benches for general seating. Be sure to make a reservation because these shows sell out. This entry was posted on November 29, 2018 at 7:30 pm and is filed under Adult Readers Advisory. You can follow any responses to this entry through the RSS 2.0 feed. You can leave a response, or trackback from your own site.